So I'll be looking over another one of your submissions. First off, let me apologize for the delays getting on this. I've been on LOA myself and just got back and so have some of the other Staffers. As with all second chances and judging, I'll do a breakdown. Region: Wrong region, your coordinates say it's near the Core Worlds. Suns: Good. Fits in with the climate and environment. Orbital Position: Eh, I'd but it maybe a slot or two back. Moons: G-U-D, Gud. I'd elaborate on the Moon lab in the description, though. Coordinates: If you're wanting this in the Unknown Regions, move it back. Here are your coordinates. Use this for plotting. Class: Giant what? Gas Giant? Terrestrial Giant? Elaborate, staffers love details. Climate: Fits in with everything, good. Gravity: Looks fine, but elaborate as to why the gravity is doubled. Government: Fascism isn't a government system, it's an ideology. Fascism is extreme authoritarian nationalism. If you're aiming for a government like this, I suggestion an Absolute Monarchy or a Totalitarian State. Maybe even a Military Dictatorship. Population: Only 10 thousand people? I suggest bringing it higher. Major Cities: I'm assuming New Nexus is the capital, though I suggest adding more cities/larger towns. Major Imports: So these people live on a planet and they only want to bring in weapons rather than food, medical supplies, technology, natural resources, droid, etc? Major Exports: I'm cool with this. I'd add natural resource mining or something since it's a desert and mountain type planet. I'd also like to see some more information regarding the lucrative weapons exports in the description. Add how they affect the population or economy. Affiliation: There is no Je'daii Order here on SWRP. Your planet doesn't have to be affiliated to a faction, though it's highly suggested. Culture: I love the two split sides between the natives. I'd still like to see some more details added. How do the people live? Where do they live? Is fighting all they do? Technology: Fine, but elaborate on how it's above average. History: I can see the basis of concepts, but not enough details. As I said before, staffers love details. Just keep in mind that you're creating a planet. A planet. You're making a whole world that roleplays can happen on, NPCs to live on, a sizeable piece of real estate that will affect the galaxy and major politics. Think about what you want to exactly do with this and create stories from it. Intent: Just something basic, revise it. Since I see much enthusiasm from you regarding this, the possibility of many good concepts and the willingness to cooperate with the Judges, I approve this second chance and will un-lock and move it so you can make further edits. Remember, this is your last chance to make this thing great. Go big or go home. Though I'll keep an eye on this submission, I can assure you that I won't be judging it. Just be sure to work with the staffer reviewing it and make all needed changes. Because post #15, I said I was going to edit it anyways. Yes, I made my point. Does that take away from the fact that I said I would edit it? Because when I finally did and was rejected by the forum, only to refresh the page and find out it was denied and archived, well... wasn't too happy to lose my work. This would be the complete sub. Raion is a small settlement nestled up on the side of a jagged valley. It, like all Ulúk Tgalieh cities and villages, is comprised purely of Ruferalahuín. It is home to the Ruksenmih tribe and is thus, by nature, very difficult itself to find. The population here numbers around 12,000-14,000, consistently Ruksenmih to the last resident. The people here are usually very quiet and soft-spoken, often forgoing words for foresight and body language. Just like the city, its inhabitants are quiet, illusive and introverted to outsiders. Assuming one is fortunate enough to find the city, they will find apt difficulty being allowed within and fitting in. It's native inhabitants are very weary and apprehensive of outsiders. Raionites are predominantly nocturnal. Origin is a hidden construct city, buried on a sunken platform deep below the sea level. It has yet to be discovered or raised and as far as all are concerned, it is not even known to exist in any way. With no inhabitants, defined culture is literally nonexistent. Nidus is considerably the largest population center of the Ruferalahuín. 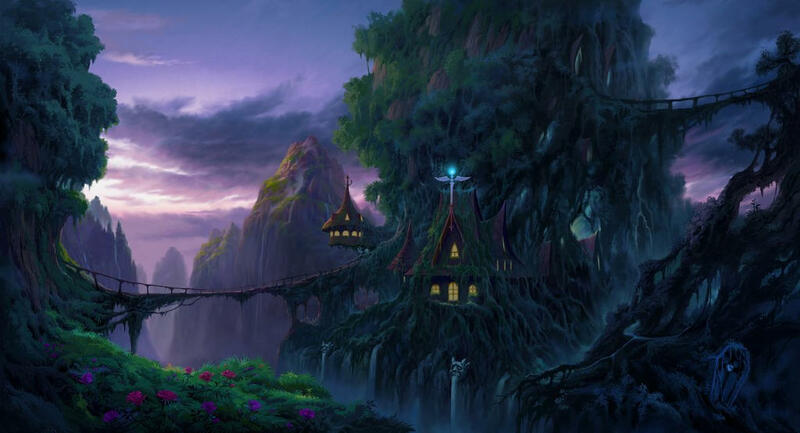 It is primarily inhabited by the Tera'Ma race, however all are welcomed within its safeguarding reaches. It is a city of grand stone and clay structures cut or build into the mountainsides of the tallest, deepest range on the planet, roughly 200 kilometers below the arctic circle. About 200,000 people live there, ranging all of the four tribes and beyond; even the occasional human is known to live among its ranks. Society is relatively simple here, similar to medieval human times. Emphasis is placed on hard work and community effort. Ulúk Tgalieh is a generally dangerous and unforgiving place. From outside its atmosphere and dense magnetic field, outward rays from the pulsar can constantly be seen, day and night. Of the many different biomes and terrains that exist, even the noble Ruferalahuín have taken to the one thirty-third of the world that contains full mountain ranges due to the safety it provides from the monstrosities below and throughout. The Ruferalahuín do not use credits; the cities and larger of the tribe-owned villages use minted coins, while the rest of the known world may use the barter system for trade. Only dozens of foreigners travel to and from Ulúk Tgalieh each year. Many Ruferalahuín are assumed to have left in this manner with others, though almost none of these outsiders stay. Tribes, though relatively peaceful and caring, tend to stay within their own borders and associate primarily with their own kind. Thanks to mild ideological and geographic isolationism, the main three tribes have remained very distinct and racially pure. Ruferalahuín do not breed with humans or near-humans and thus have or will avoid(ed) such relationships. Technology: The Ruferalahuín are the only known sentient species to have inhabited Ulúk Tgalieh; though they are not the first. Long ago, nearly a hundred millenia into the past, an advanced race of unknown name and origin dubbed the Progenitors ruled the planet and its nearby systems. For reasons unknown, all traces of their existence simply vanished, and they were obscured from the annuls of time and history for all of eternity... or so they thought. In the early 800's, a single group of explorers and excavators found the first ever traces of former civilization, shards of technology fallen from the old moon Nnaðuad'ritfe'fíl, buried under thousands of years of earthen rock and land changes. Among one of the oldest creations in the known galaxy, suddenly... the Ruferalahuín were not alone. However, only the horrors of their originators' extinction and their once thought erased constructs would remain. Unsuspecting of the locals' eyes. 95,000 BBY :: An ancient advanced race of solar spacefaring beings (known for history sake as Progenitors) lived on the planet known as Ulúk Tgalieh. Their civilization nears its peak. 92,000 BBY :: The Progenitors faced global warfare, and a weapon of mass destruction is developed with the intent of "resetting" society by the losing side by eliminating their entire population. It is delivered in the form of an ICBM and unleashes a biological agent which specifically targets all advanced sentient beings. Within years, global population reaches near zero. 91,500 BBY :: The few surviving Progenitors spend the remainder of their fated lives tending to final preparations to remove all signs of civilization and maintain the natural environment. A bio-engineering project secretly conducted prior by a private subdivision is all but lost to history and remains sealed within the surface of Ulúk Tgalieh. The final Progenitor dies in 91,567 BBY. 77,500 BBY :: One of the three celestial bodies orbiting Ulúk Tgalieh, originally believed to be a low-class moon, finally loses sustained orbit and enters a trajectory for the second smallest moon. This critical failure of the construct causes the ruinous containment cells on Ulúk Tgalieh to release. The Ruferalahuín race is born. 57,900 BBY :: Over the next few millenia, it intercepts the moon and collides off-center, splitting it open and sending debris and chunks of the moon to rain down on the planet. The local flora and fauna population is decimated. Trace amounts of remaining bio-agent samples are unleashed on the planet. However, it has no negative effects on the new population, mostly due to their related genetic construction. Circa 1,200 BBY :: The second moon reaches a perigee of 42,597 km from Ulúk Tgalieh thanks to its accidental artificial orbit. 457 BBY :: The first Ruferalahuín leaves Ulúk Tgalieh. Intent: Planet for the Ruferalahuin, and location for the faction-hosted event I am planning. It is yet hidden and secretive, as I intend it to be used at first exclusively for this big thing I'm planning, then the conclusions of that will decide what happens to it as of then on. This was wrongfully archived for lack of cooperation the first time around when I can pull up written proof of agreement to cooperate. You argued throughout the entirety of the thread with a brand new Factory Judge and then wonder why she's asked to deny it? Next time think about how you phrase things, this isn't a debate, it isn't a bartering system, if you were going to edit then edit - there's no need for excessive posting in a submission thread, you should only be replying when the edits have been made as asked. With that said, I'm going to ask that you build upon the history a little more, and try to make the intent less exclusive - planets can be stumbled upon by people, even if to begin with it's unknown and hidden; do not restrict the roleplay of others. I'll unarchive this and will expect you to make the changes asked for by Lilith and my own request for history additions. Remember you're adding to the lore of the site through submissions. If the history was condensed it wouldn't even make a substantial paragraph. "..just don't think it fits in the lore of this site or star wars. Please feel free to second chance it. If you do I suggest you work on the species more, because you have 3 completely new species and I just don't see enough mention on them..."
If you look into any history book you will find that those in power tend to get the bigger mention in them, thus Tera Vampir (a sub species of Energy Vampire I haven't yet posted as I was waiting for approval of Lush) is the most influential and long lived, and compared to the newer/younger species will have the greater portion. I'm confused. Till the end it was going well, she asked for edits and I made them - even admitting I had not thought to add more depth in one spot. Then all of a sudden it's not good. She says it doesn't fit into the lore of the site etc, yet it is simply sub species of already canonized aliens. I'm genuinely not getting it. Ps. This is the most I've put into a sub and for it to be denied over the way the planet works is kind of off. Shouldn't a planet be completely unique in every sense? Especially one that for the most part has avoided contact with other life? I believe that this was unfairly judged,I didn't know how to respond to it,so I went to a RPJ and asked for his advice,which I was given and I stated those exact points out to the Factory Judge and the submission was still denied. I'll take a look at the submission and post any comments there. Also as a side note for @Alli Wren's sub to look into as well is the Czar Enhancements done by @Dr.Marie Krasnican which do the same thing in one of their augmentations. I was asked to edit the mines so that they were more easily detectable by ships that encountered them.When discussing the matter further over skype, a consensus was made. [2/23/2014 7:09:42 PM] Waid: ok.hard to detect while inert.when the mines detect a ship closing in with them they -power up- which is then picked up on sensors.the ship then has a few seconds to react as the mines are magnetically pulled towards the ship.if the mine physically touches the ship (or is shot) it explodes. [2/23/2014 7:09:47 PM] Waid: sound good? 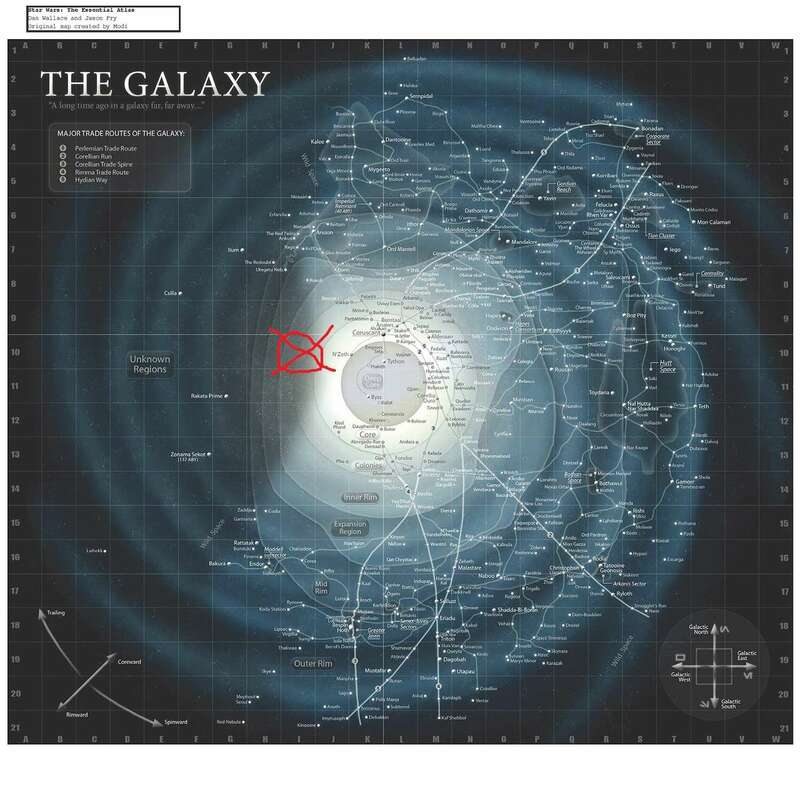 [2/23/2014 7:10:11 PM] -NAME REDACTED-: dont say a few seconds, it depends how close/far the ship is. otherwise, yes. These details were then added into the submission with the following paragraph, yet was denied anyway. "Once they activate, however, the sudden burst of electromagnetics and bleed-off of Proton Energy are easily picked up by sensors.This gives any ship that has wondered into the minefield a brief opportunity to take action as the mines drift towards the ship in question. 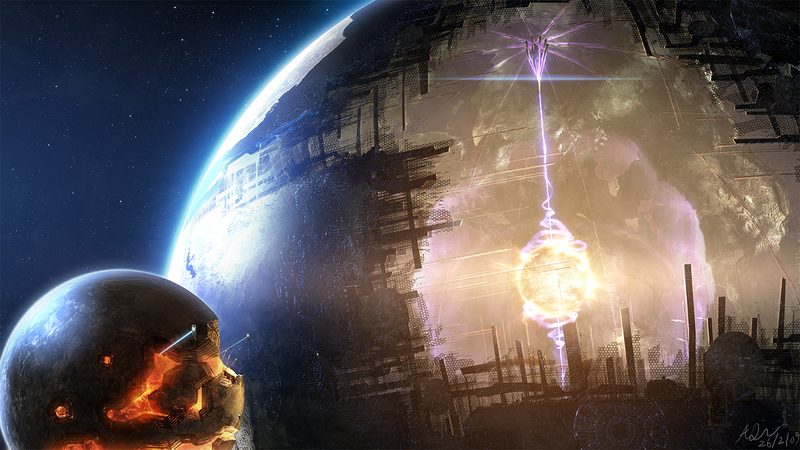 Due to the magnetic detection system, larger ships will activate the mines from further away than smaller ships will. Which gives larger ships more time to react. Smaller ships, like corvettes and gunships, are significantly threatened by these mines. Due to their much smaller profile, they do not typically activate the mines until the vessel is too close for point-defense weapons to be completely effective." I was told to edit it, I described a list of easy to exploit weaknesses and removed the antimatter reactor, as asked, then the sub was denied for reasons unmentioned without any feedback being given as to what was wrong/needed to be changed. From what I gathered, @Circe Savan it seems the issue is that it's an op'd upgrade of something presently in play within the roleplay, and that it lacks the star wars feel and integrity. Now, having given you the reasoning I've obtained, I'm going to likewise have to deny. I wholeheartedly understand the logic behind the denial. It's too large for a ship, too well armed for a ship(though it has the same armament as a heavy command ship), too many fighters for a ship, too common for a ship, and too many manufacturers for a ship. Only thing is, it's not a ship. It's a space station. A defense platform, of which the current rules do not have guidelines on. I haven't seen anything in the rules with regards to space stations that says it can't be larger than 2km, it can't have more than such and such armament for its size, it can't carry this many fighters for its size, it can't be this common if it's this size, and it can't have this many manufacturers. If the rules for starships still apply to space stations, which would admittedly surprise me considering their canonically much larger size(The Wheel, the Maw Installation, Shelter, Verpine asteroid colonies, Centerpoint Station, etc), then I apologize for questioning them. But if so, it might make sense to clarify that said starship rules apply to space stations as well, and no space station can be made larger than 2km. In that case, would someone from staff be kind enough to edit the "How to make a starship" page and make it clear that the exact same rules and regulations apply to space stations? I was sincerely unsure, and I'd rather not see the same thing happen to others. In order to mass produce ships over 1,000 meters, development threads of at least 40 quality posts with three or more individual writers will be required, prior to submission. - Again, no dev' thread. Many of the companies listed don't have the resources/capability to pull something like this off, either. I feel this was judged highly unfairly and was denied because it was too light. Even though I provided real world examples of medium machine guns that weighed less. And it's less accurate than real world weapons. I don't believe it should be denied over a judges personal belief of what is too light or too heavy when good examples are provided. I belive this needs to be second chanced for the reason that this is a procedure to never be done again. It's simply done as a favor for a single character. I don't intend on doing it to anyone else and I've put a lot of reaserch and development into this procedure for them. The former was denied because you were arguing - the Factory is not a bartering system. The latter because of the product itself. I'm keeping both denied because of this.